Donna provides compliance, regulatory, corporate and transaction services to clients in Illinois and throughout the United States in highly regulated industries such as gaming, medical cannabis, liquor, sweepstakes and contests. 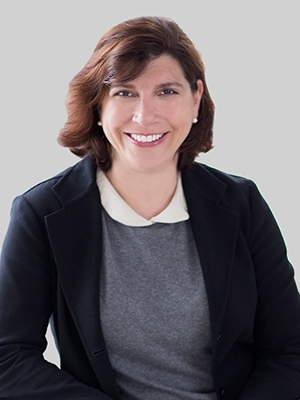 Drawing upon her experience as general counsel to the Illinois Gaming Board (IGB) and her tenure as an Assistant U.S. Attorney for the Northern District of Illinois and Assistant Cook County State’s Attorney, Donna advises clients on all licensing and regulatory issues in hearings before administrative agencies. She also represents clients in commercial and regulatory disputes involving competitors. Donna regularly represents casinos, video gaming terminal operators, manufacturers and distributors, game developers and other companies involved in the gaming industry in Illinois and nationwide. As the first general counsel to the IGB, she was involved in the process of legalizing gaming in Illinois and helped write the regulations governing the state’s gaming industry that remain in place today. This first-hand knowledge enables Donna to provide extensive insight and counsel to companies in the gaming industry in Illinois regarding licensing, compliance, investigations and commercial disputes. Additionally, she advocates for clients before agency boards and commissions, litigates compliance issues in administrative and disciplinary hearings, and negotiates settlements. Donna also helps clients comply with Illinois’ Compassionate Use of Medical Cannabis Pilot Program Act. This includes working with clients to secure cultivation licenses from the Illinois Department of Agriculture and dispensary licenses from the Illinois Department of Professional Regulation. In addition to helping them comply with regulations, Donna assists growers and dispensaries with general business matters, shareholder agreements and operational plans. For banking clients, she provides counsel regarding U.S. Department of Treasury issues related to medical cannabis. Donna has sat on the board of directors of two publically traded companies. She is a past president of the International Association of Gaming Advisors and is a current member of the International Masters of Gaming Law (IMGL). Donna formed and is the current co-chair of the Chicago Bar Association’s Gaming Law Committee. She participates as a speaker in numerous gaming conferences each year. Donna was previously a partner at Nixon Peabody and at Ungaretti & Harris. She was an adjunct faculty member at Chicago-Kent College of Law, where she taught a Trial Advocacy Course and a Gaming Law Seminar.